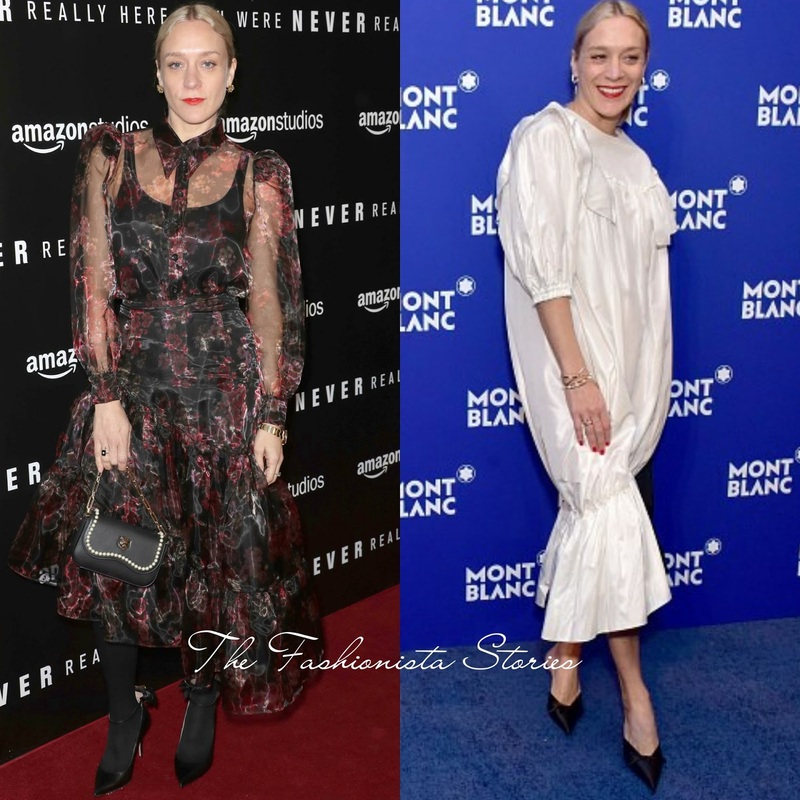 Chloe Sevigny stepped out on two different occasions in New York this week. She attended the 'You Were Never Really Here' premiere and the Montblanc Meisterstuck Le Petit Prince Event. On Tuesday(April 3rd) she attended Amazon Studios 'You Were Never Really Here' premiere at the Metrograph. She wore a JILL STUART SPRING 2018 puffy long sleeve sheer black & red floral layered dress with a collard neck and cinched waist. Chloe's dress is not as sheer as the runway version which I am sure many would appreciate. Teamed with black opaque tights & ankle strap pumps, she finished up with a black bag, colored lip and center part ponytail. Last night(April 4th) she attended the Montblanc Meisterstuck Le Petit Prince Event at One World Trade Center Observatory. 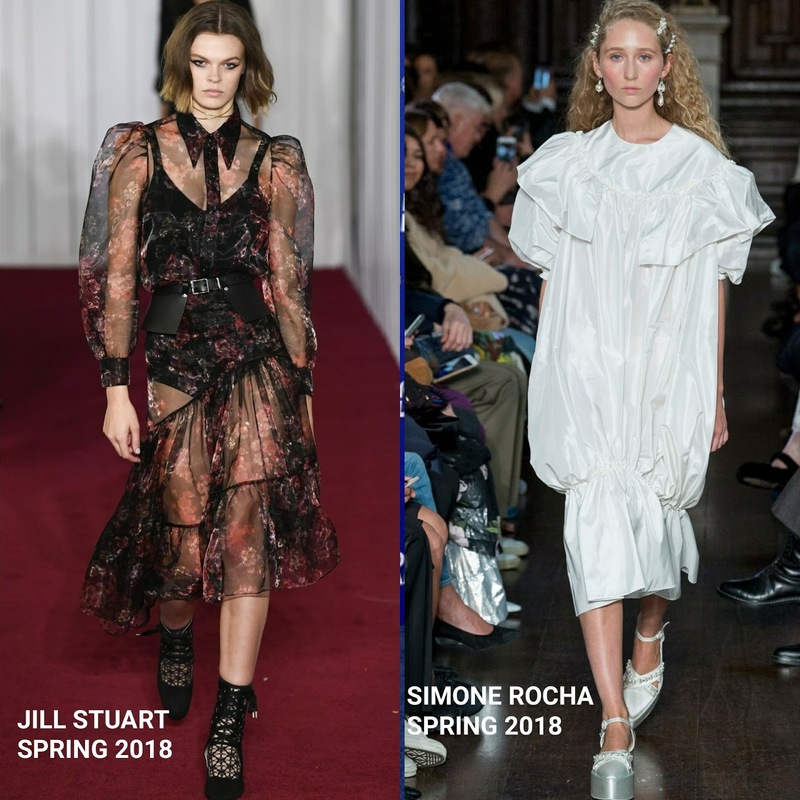 She turned to SIMONE ROCHA wearing a SPRING 2018 paper bag inspired ruffle dress. This is definitely not an easy piece to pull off but Chloe is the right wearer for this dress. Black mules, red lips and a center part up-do finished up her look.